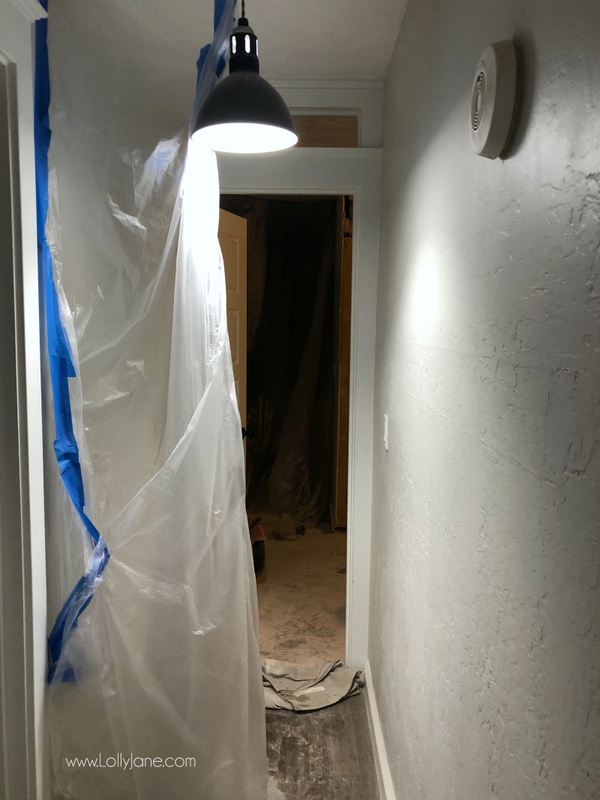 In true renovation fashion, we are behind progress on the bathroom remodel in the One Room Challenge via Jeffrey Court. My husband Nate completed the demo so Kristi’s husband could start the bathroom remodel diy. Things were going smoothly until her toddler started puking. Her kindergartner soon got the bug then of course, her husband Cory got it, too… BUT, never fear! We always pull things off so we’re not too worried… just wishing we were in the rebuilding phase already. Concrete top has been designed and is being created. The faucets, lights + accessories are ordered. 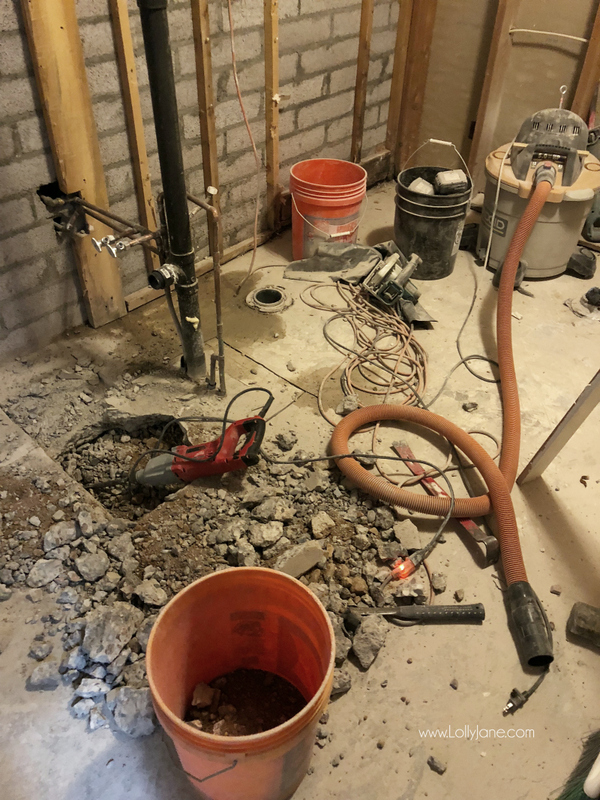 The current state of the bathroom: let me tell you how fun it is to walk across this craziness to get to our bedroom every night. Yes, there is a gaping hole in the middle of the floor. 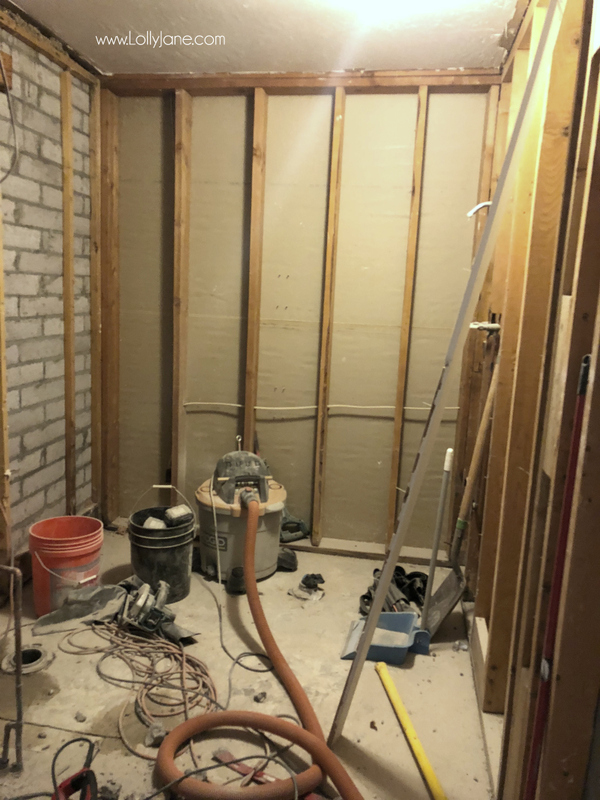 The plumbing is being moved from the middle of the room to the wall. 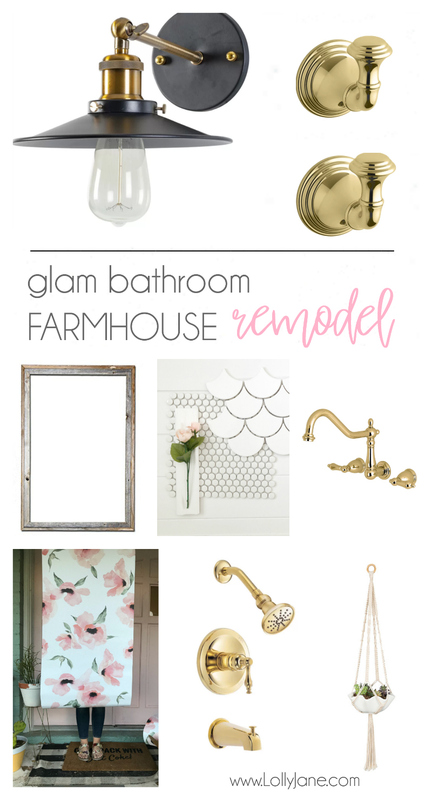 Let’s move onto the little progress we have made: We love the Blaire Vanity from Wayfair, the shape is so perfect for the glam vibe we’re going for. 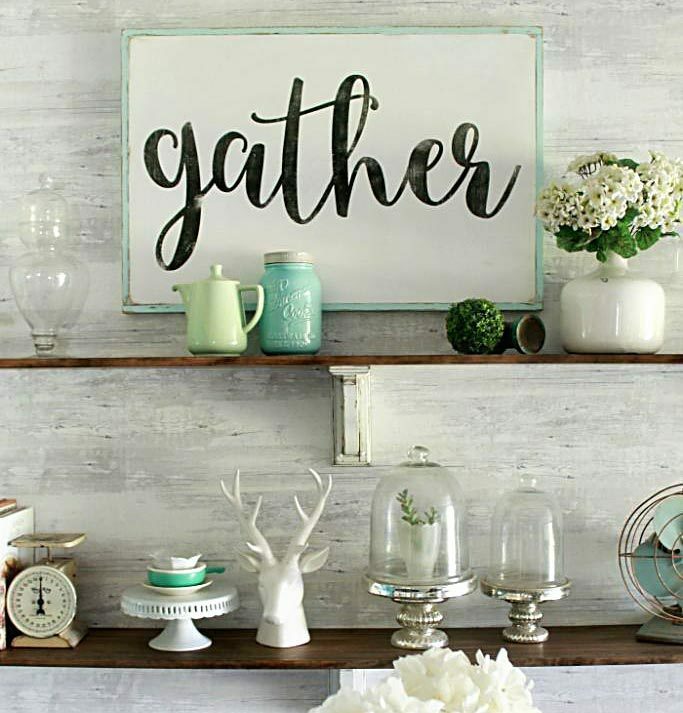 Speaking of glam, we’re going to girly it up even more! 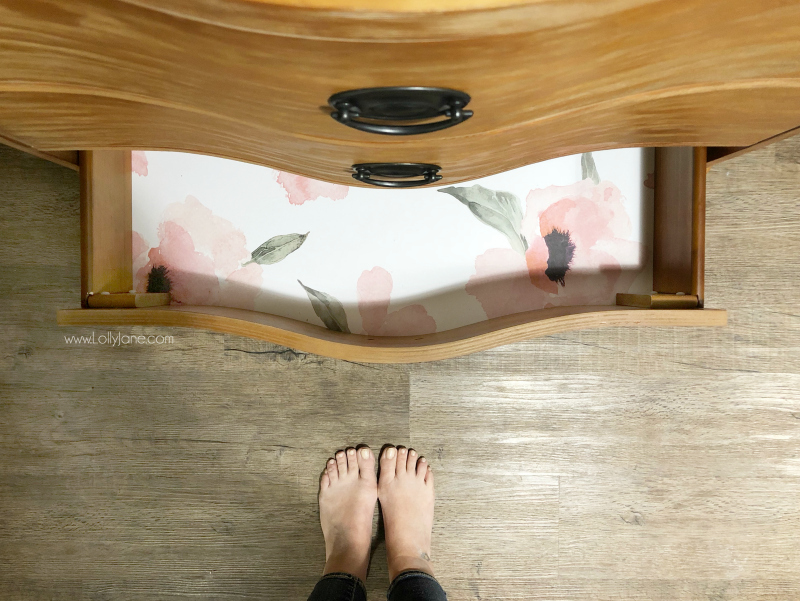 We started by adding the peel and stick wallpaper as a drawer liner in the bottom drawer. The rest of the paper will be an accent wall in the new space. Could you die at the cuteness!? We’re also going to painted in Behr’s Positively Pink and the knobs will be replaced with gold cup pulls. Can’t you just imagine it? Here’s another peek at what’s to come! Wish we had a bigger peek for you but real life is kickin our trash..we expect BIG changes for week 4! Hustle time! 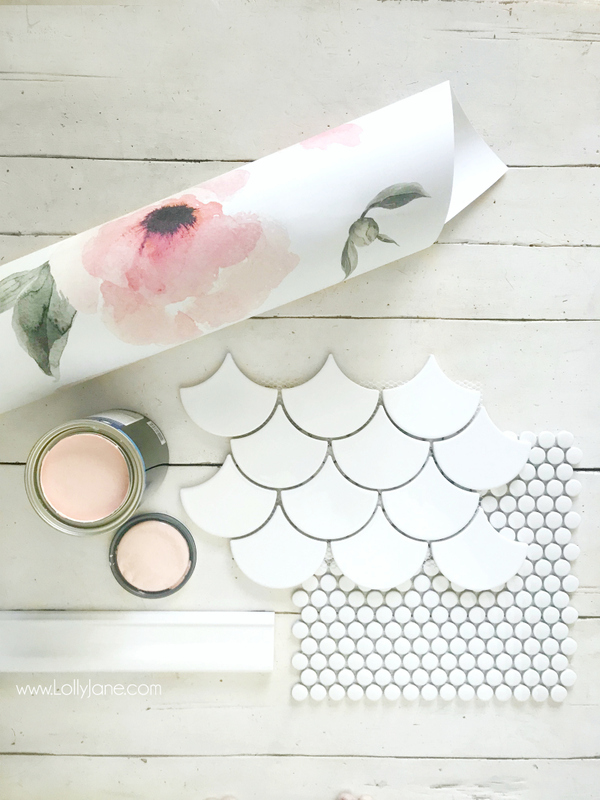 BIG THANKS to Jeffrey Court for sending us some purdy tile + Wayfair for the lovely vanity + paper! 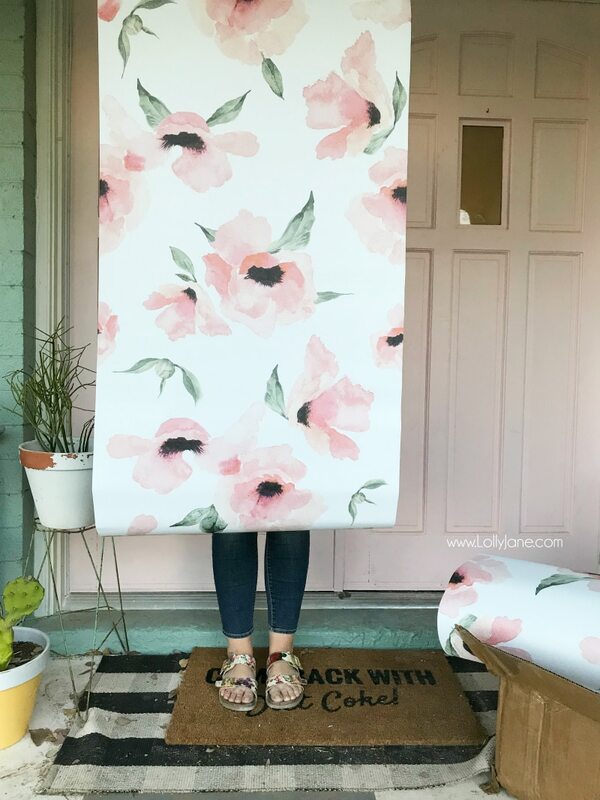 I have been looking for that wall paper.. can you please help me out.. we spotted it at the Atlanta market..
We love it too! http://bit.ly/2HaPzrS Thanks, Janice!